O.J. Laughlin Plumbing Company, Inc. is a full service plumbing company with a known and respected reputation throughout the greater St. Louis area. Equipped to service both residential and commercial repair work, we are backed with superior parts and a staff of licensed plumbers who provide years of knowledge and experience. Celebrating our 64th year in business, we take pride in continuing the business practices of our founder Oliver J. Laughlin. Treat people like you want to be treated, and do work for someone else the same way you would do it for yourself. 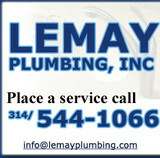 Let us show you why we have become one of the most respected and reliable plumbing companies in the St. Louis area. Call us now at (636) 225-0992 or (314) 961-7327. 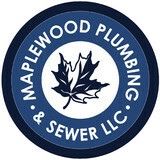 Maplewood Plumbing is an award winning plumbing contracting company based in St. Louis, MO. We service the City of St. Louis and County of St. Louis. Bopp Plumbing, providing quality work since 1993. With over twenty-five years of experience in the industry, SC Hosack Plumbing and Excavation is the right team to trust with all of your plumbing and sewer related needs. Our professional St. Louis plumbers are highly skilled, extensively trained, extremely knowledgeable, and expertly proficient. 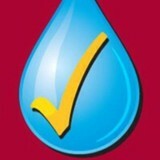 We specialize in both commercial plumbing and residential services. Our plumbers will do everything possible to ensure that you have the most reliable and efficient plumbing system possible. Serving the metro east area for over 19 years. We specialize in home repair, installation & remodel projects. No job is too big or small. Give us a call today, we can help you assess your situation and recommend the best fit for your needs. Customer service and satisfaction is our #1 priority. Senior & Military Discounts. Craftsman Plumbing Company LLC is a plumbing contractor / plumber serving the O Fallon, MO area. Services include Plumbing, Emergency Service, Water Damage Restoration, Drain Cleaning, Piping, Toilet Repair, Faucet Repair, Sink Plumbing, Bathtub Plumbing, Shower Plumbing, Water Heater and Sump Pump. Tiger Plumbing, Heating, Air Conditioning, & Electrical Services takes pride in being your preferred local plumbers, electricians, and hvac technicians! In fact, more homeowners in the St. Louis Metro East communities we serve, say they would call us again before any other plumbing, electrical, heating, or air conditioning service! Python Plumbing LLC is a locally owned, second generation company that is licensed, bonded and insured for our clients protection. We are committed to unmatched quality service and competitive pricing. With over 100 years of experience on staff, Python Plumbing LLC uses only the most highly qualified plumbers and staff. Servicing St. Louis City and County, Jefferson County and St. Charles County. When choosing Python, you’re entrusting your plumbing needs to the best, not to mention we maintain a high average when it comes to inspections passed. Our business has been built on word of mouth, so 100% customer satisfaction is our goal! Not to mention that our referrals and repeat customers are limitless. Established in 1992, Performance Plumbing Inc. has been the leading plumbing specialist in the St. Louis and St. Charles area. Our goal has always been to provide customers with exceptional customer service the moment we pick up the phone. We are a local, family owned company committed to high quality service and professional repairs for residential and commercial buildings. We offer various plumbing solutions, including emergency plumbing services, and are always on call to help our customers no matter what their plumbing needs may be. Full service plumbing and drain cleaning available 24/7 and Residential and Commercial new installs and remodels with 27 years experience. We are family owned and operated. We have over 15 years experience, which 5 years of that was served thrue a union apprenticeship. 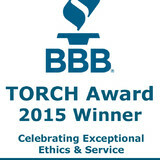 We have the utmost respect for our customers and their homes or business. We provide the best quality and workmanship for our customers. Find a local Murphy plumber on Houzz. Narrow your search in the Professionals section of the website to plumbing contractors in Murphy, MO. You may also look through photos of Murphy, MO projects to find a licensed plumber who has worked on a project similar to yours. Here are some related professionals and vendors to complement the work of plumbers: General Contractors, Septic Tanks & Systems, Kitchen & Bath Designers, Kitchen & Bath Remodelers.